If you are translating, please refer to en_US.lang for item names and zh_CN.lang for material names. Starting from version 2.x.0.x, this mod requires WrapUp. 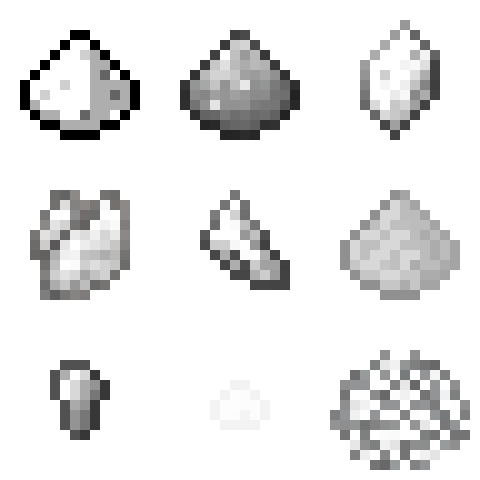 JAOPCA (Just A Ore Processing Compatibility Attempt) is a mod that aims to add ore processing compatibilty to many mods, and is inspired by AOBD (Another One Bites the Dust) by ganymedes01. Please use the latest version of each mod at the time a version is released to avoid crashes. This mod also contains part of my previous mod, ODI (Ore Dictionary Initializer), which is modified to register OreDictionary entries before the main mod. Please let me know if you have a suggestion or if you want a mod to be supported. Lucraft Core support would be nice for a pack I'm designing around Lucraft's Superhero mods and Mekanism. I hoping someone can help me with a config setting. I have a "fluid yellorium" cow, and I can put the fluid in a seared tank, but it wont let me cast it into yellorium blocks or ingots. I was hoping this mod would allow me to do that, and I'm sure it can. I'm just not sure what I have to do to make it work. It was actually already not there as it was a placeholder. Will re-add as I just noticed there is a config for Railcraft to process ores. Question with Extreme Reactors - when I melt down yellorium ore, I get molten yellorium; but when I melt down a yellorium ingot, I get JAOPCA molten uranium instead. Is there any way to normalize that? I tried to add Yellorium as a synonym in the config, but it didn't make any difference. Hey Miffy, I know you get a lot of requests for mod integrations, but if I'm understanding correctly, all you'd need to do to make this work with Mekanism DZ edition is make the mekanism classic code check for either DZ edition or the other one, and it'd be a big help. Thanks! Here's a tip to find the names. Look at what the getName function returns. It only doesn't work for coins. I think maybe that's broken since even using * doesn't disable coins. could you add support for Advent of Ascension? if AoA uses the ore dictionary, then this should already support it. The problem here is that Metallurgy isn't using the ore Dictionary in its machinery. That's on their end to fix, but once it's done, there's a decent chance, since the only special component it uses is dusts, that JAOPCA can work out of the box. Add support for Bedrock ores. could you add an name example for every module ? Can I suggest TAIGA (Tinkers Alloying Addon) for compatibility? What is this mod not doing that you want it to do? As long as TAIGA uses the ore dictionary, its metals should be compatible, and I see no indication of any special crafting mechanisms in it. Is the ingotNoOres config in the jaopca section set to true? I don't see an option called that. ingotOreless is false.